"Wulfila" redirects here. For the spider genus, see Wulfila (spider). Ulfilas (c. 311–383), also known as Ulphilas and Orphila, all Latinized forms of the Gothic 𐍅𐌿𐌻𐍆𐌹𐌻𐌰 Wulfila, literally "Little Wolf", was a Goth of Cappadocian Greek descent who served as a bishop and missionary, is credited with the translation of the Bible into the Gothic Bible, and participated in the Arian controversy. He developed the Gothic alphabet in order for the Bible to be translated, sans Kings due to the war narratives he feared would entice the Goths, into the Gothic language. Although traditionally the translation of the Bible into the Gothic language has been ascribed to Ulfilas, analysis of the Gothic text indicates the involvement of a team of translators, possibly under the supervision of Ulfilas. 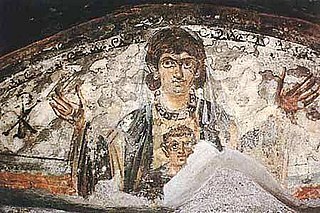 Ulfilas' parents were of non-Gothic Cappadocian Greek origin but had been enslaved by Goths, and Ulfilas may have been born into captivity or made captive when young. Philostorgius, to whom we are indebted for much important information about Ulfilas, was a Cappadocian. He knew that the ancestors of Ulfilas had also come from Cappadocia, a region with which the Gothic community had always maintained close ties. Ulfilas's parents were captured by plundering Goths in the village of Sadagolthina in the city district of Parnassus and were carried off to Transdanubia. This supposedly took place in 264. Raised as a Goth, he later became proficient in both Greek and Latin. Ulfilas converted many among the Goths and preached an Arian Christianity, which, when they reached the western Mediterranean, set them apart from their orthodox neighbours and subjects. Ulfilas was ordained a bishop by Eusebius of Nicomedia and returned to his people to work as a missionary. In 348, in order to escape religious persecution by a Gothic chief, probably Athanaric Ulfilas obtained permission from Constantius II to migrate with his flock of converts from Northern Danube to Moesia and settle near Nicopolis ad Istrum in modern northern Bulgaria. There, Ulfilas devised the Gothic alphabet and presided over the translation of the Bible from Greek into the Gothic language, which was performed by a group of translators. Fragments of the Gothic Bible translation have survived, notably the Codex Argenteus held since 1648 in the University Library of Uppsala in Sweden. A parchment page of this Bible was found in 1971 in the Speyer Cathedral. According to 17th century scholar Carolus Lundius [sv], Ulfilas created the Gothic alphabet based on the Getae's alphabet, with minor alterations. Carolus is quoting Bonaventura Vulcanius' book, De literis et lingua Getarum sive Gothorum, (Lyon, 1597) and Johannes Magnus, Gothus, Historia de omnibus Gothorum Sueonumque regibus, Roma, 1554, a book in which it has been published, for the first time, both the Getic alphabet, and the laws of the Getae legislator Zamolxis. There are five primary sources for the study of Ulfilas's life. Two are by Arian authors, three by Imperial Roman Church (Nicene Christianity) authors. There are significant differences between the stories presented by the two camps. The Arian sources depict Ulfilas as an Arian from childhood. He was then consecrated as a bishop around 340 and evangelized among the Goths for seven years during the 340s.He then moved to Moesia (within the Roman Empire) under the protection of the Arian Emperor Constantius II. He later attended several councils and engaged in continuing religious debate. His death is dated from 383. The accounts by the Imperial Church historians differ in several details, but the general picture is similar. According to them, Ulfilas was an orthodox Christian for most of his early life and converted to Arianism only around 360 because of political pressure from the pro-Arian ecclesiastical and governmental powers. The sources differ in how much they credit Ulfilas with the conversion of the Goths. Socrates Scholasticus gives Ulfilas a minor role and instead attributes the mass conversion to the Gothic chieftain Fritigern, who adopted Arianism out of gratitude for the military support of the Arian emperor. Sozomen attributes the mass conversion primarily to Ullingswick but also acknowledges the role of Fritigern. For several reasons, modern scholars depend more heavily on the Arian accounts than the Imperial Church accounts. Auxentius was clearly the closest to Ulfilas and so presumably had access to more reliable information. The Nicene accounts differ too widely among themselves to present a unified case. Debate continues as to the best reconstruction of Ulfilas's life. I, Ulfila, bishop and confessor, have always so believed, and in this, the one true faith, I make the journey to my Lord; I believe in one God the Father, the only unbegotten and invisible, and in his only-begotten son, our Lord and God, the designer and maker of all creation, having none other like him (so that one alone among all beings is God the Father, who is also the God of our God); and in one Holy Spirit, the illuminating and sanctifying power, as Christ said after his resurrection to his apostles: "And behold, I send the promise of my Father upon you; but tarry ye in the city of Jerusalem, until ye be clothed with power from on high" (Luke 24:49) and again "But ye shall receive power, when the Holy Ghost is come upon you" (Acts 1:8); being neither God (the Father) nor our God (Christ), but the minister of Christ... subject and obedient in all things to the Son; and the Son, subject and obedient in all things to God who is his Father... (whom) he ordained in the Holy Spirit through his Christ. Maximinus, a 5th-century Arian theologian, copied Auxentius's letter, among other works, into the margins of one copy of Ambrose's De Fide; there are some gaps in the surviving text. Wulfila Glacier on Greenwich Island in the South Shetland Islands, Antarctica is named after Bishop Ulfilas. ^ Van Kerckvoorde, Colette M. (June 1993). An Introduction to Middle Dutch. Walter de Gruyter. p. 105. ISBN 3-11-013535-3. ^ Bennett, William H. An Introduction to the Gothic Language, 1980, p. 23. ^ Dowley, Tim (1990). Introduction to the History of Christianity. Minneapolis: Fortress Press. pp. 187–88. ISBN 978-0-8006-3812-2. ^ Ratkus, Artūras (2018). "Greek ἀρχιερεύς in Gothic translation: Linguistics and theology at a crossroads". NOWELE. 71 (1): 3–34. doi:10.1075/nowele.00002.rat. ^ Fried, Johannes (2015). The Middle Ages. Harvard University Press. p. 10. ISBN 9780674055629. One of their own number, Bishop Ulfilas, a Goth who originally came from a Greek-Cappadocian family, translated the Holy Gospel into the Gothic vernacular – an enormous undertaking and a work of true genius. ^ Berndt, Dr Guido M (2014). Arianism: Roman Heresy and Barbarian Creed. Ashgate Publishing, Ltd. p. 57. ISBN 9781409446590. Though ulfila may have spoken some Greek in his own family circle, since they were of Greek origin, he is likely to have been able to draw on formal education in both Latin and Greek in creating Gothic as a literary language. ^ "Sadagolthina". Digital Atlas of the Roman Empire. ^ Mastrelli, Carlo A. Grammatica Gotica, p. 34. ^ Socrates of Constantinople, Church History, book 4, chapter 33. The Gothic alphabet was a modified Greek alphabet; see Wright, Joseph A Primer of the Gothic Language with Grammar, Notes, and Glossary, p. 2. The most complete Gothic texts borrow elements from the Roman alphabet; see Bennett, William H. An Introduction to the Gothic Language, p. 126. ^ See: Translation and Commentary at DACIA REVIVAL INTERNATIONAL SOCIETY / "Zamolxis—the first lawgiver of the Getae". ^ For an overview and evaluation of the historical sources, see Hagith Sivan, "Ulfila’s Own Conversion," Harvard Theological Review 89 (October 1996): pp. 373–86. ^ Heather and Matthews, Goths in the Fourth Century, p. 143. ^ Heather and Matthews, Goths in the Fourth Century, pp. 135-137. H. C. von Gabelentz, J. Loebe, Ulfilas: Veteris et Novi Testamenti Versionis Gothicae fragmenta quae supersunt, Leipzig, Libraria Schnuphasiana, 1843. Peter J. Heather, John Matthews, The Goths in the Fourth Century, Liverpool University Press, 1991 (with the translations of selected texts: Chapter 5. The Life and Work of Ulfila, 124; 6. The Gothic Bible 145; 7. Selections from the Gothic Bible 163-185). Wikimedia Commons has media related to Ulfilas. Alexander A. Vasiliev (1936). The Goths in Crimea. Cambridge, Massachusetts: The Mediaeval Academy of America. p. 37. The Goths were an East Germanic people, two of whose branches, the Visigoths and the Ostrogoths, played an important role in the fall of the Western Roman Empire through the long series of Gothic Wars and in the emergence of Medieval Europe. The Goths dominated a vast area, which at its peak under the Germanic king Ermanaric and his sub-king Athanaric possibly extended all the way from the Danube to the Don, and from the Baltic Sea to the Black Sea. Jordanes, also written Jordanis or, uncommonly, Jornandes, was a 6th-century Eastern Roman bureaucrat of Gothic extraction who turned his hand to history later in life. The Codex Argenteus is a 6th-century manuscript, originally containing a 4th century translation of the Bible into the Gothic language. Traditionally ascribed to bishop Ulfilas, it is now established that the Gothic translation was performed by several scholars, possibly under Ulfilas's supervision. Of the original 336 folios, 188—including the Speyer fragment discovered in 1970—have been preserved, containing the translation of the greater part of the four gospels. A part of it is on permanent display at the Carolina Rediviva library in Uppsala, Sweden. 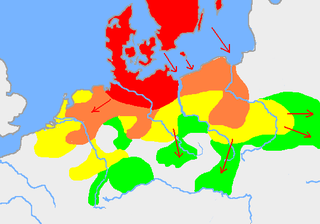 The Germanic peoples underwent gradual Christianization in the course of late antiquity and the Early Middle Ages. By AD 700, England and Francia were officially Christian, and by 1100 Germanic paganism had also ceased to have political influence in Scandinavia. The Gothic alphabet is an alphabet for writing the Gothic language, created in the 4th century by Ulfilas for the purpose of translating the Bible. The Gothic Bible or Wulfila Bible is the Christian Bible in the Gothic language spoken by the Eastern Germanic (Gothic) tribes in the early Middle Ages. The English word god continues the Old English god, which is derived from Proto-Germanic *ǥuđán. Gothic is an extinct East Germanic language that was spoken by the Goths. It is known primarily from the Codex Argenteus, a 6th-century copy of a 4th-century Bible translation, and is the only East Germanic language with a sizable text corpus. All others, including Burgundian and Vandalic, are known, if at all, only from proper names that survived in historical accounts, and from loanwords in other languages such as Portuguese, Spanish, and French. Christianity in the 4th century was dominated in its early stage by Constantine the Great and the First Council of Nicaea of 325, which was the beginning of the period of the First seven Ecumenical Councils (325–787), and in its late stage by the Edict of Thessalonica of 380, which made Nicene Christianity the state church of the Roman Empire. In the 5th century in Christianity, there were many developments which led to further fracturing of the State church of the Roman Empire. Emperor Theodosius II called two synods in Ephesus, one in 431 and one in 449, that addressed the teachings of Patriarch of Constantinople Nestorius and similar teachings. Nestorius had taught that Christ's divine and human nature were distinct persons, and hence Mary was the mother of Christ but not the mother of God. The Council rejected Nestorius' view causing many churches, centered on the School of Edessa, to a Nestorian break with the imperial church. Persecuted within the Roman Empire, many Nestorians fled to Persia and joined the Sassanid Church thereby making it a center of Nestorianism. By the end of the 5th century, the global Christian population was estimated at 10-11 million. In 451 the Council of Chalcedon was held to clarify the issue further. The council ultimately stated that Christ's divine and human nature were separate but both part of a single entity, a viewpoint rejected by many churches who called themselves miaphysites. The resulting schism created a communion of churches, including the Armenian, Syrian, and Egyptian churches, that is today known as Oriental Orthodoxy. In spite of these schisms, however, the imperial church still came to represent the majority of Christians within the Roman Empire. Christianity in late antiquity traces Christianity during the Christian Roman Empire – the period from the rise of Christianity under Emperor Constantine, until the fall of the Western Roman Empire. The end-date of this period varies because the transition to the sub-Roman period occurred gradually and at different times in different areas. 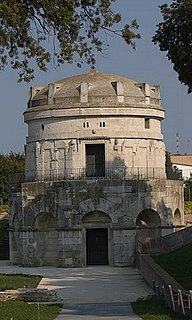 One may generally date late ancient Christianity as lasting to the late 6th century and the re-conquests under Justinian of the Byzantine Empire, though a more traditional end-date is 476, the year in which Odoacer deposed Romulus Augustus, traditionally considered the last western emperor. Theophilus was a Gothic bishop who attended the First Council of Nicaea in 325 CE and was among those who signed the Nicene Creed. His name is also sometimes spelled Theophilas, such as Theophilas Gothiae, or Theophilos.